The new trains dilemma (what to do with the old ones). The old expression ‘feast or famine’ springs to mind when I look at the situation our railways are currently facing with the amount of new trains on order and old ones coming off-lease. I remember when the railways were first being privatised. The uncertainty around what was happening led to a 1,064 day hiatus when no new trains were ordered. This led to the closure of the ABB works (formerly BREL) at York, where the majority of the BR built trains that still run in service were constructed. How things have moved on from those days! 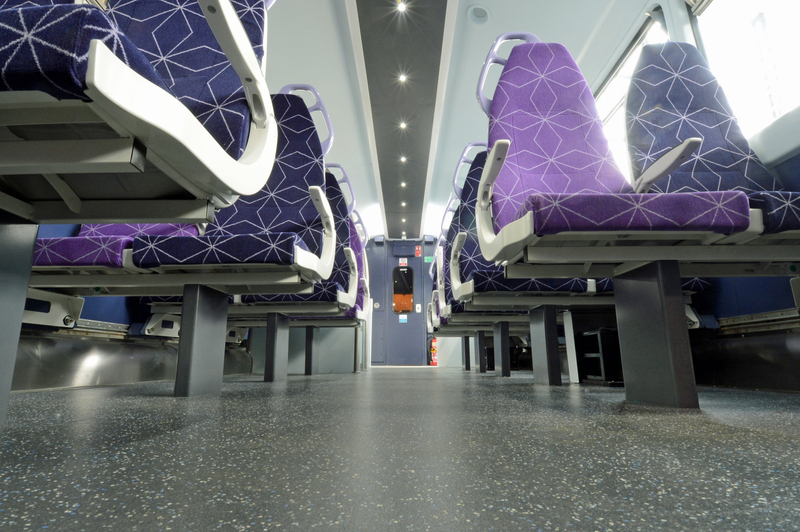 Now we have a massive amount of new trains coming into service or on order. Also, a mix of old and new train builders are either planning (or building) new assembly plants in the UK. TALGO are currently deciding on a site location whilst CAF have picked Llanwern in S Wales and begun construction. Alstom have a site in Widnes whilst Siemens have announced a site in Goole. That’s a hell of a lot of displaced trains with nowhere to go. OK, many will be on a one-way trip to the scrapyard (who would want to lease Pacers or Class 313s and 315s?) but there’s a significant number of trains with life left in them yet. Firstly, here’s a list of what’s coming into service now or in the next few years. Now here’s a list of what’s coming off-lease and when. As the list shows, 2019 is going to bring big changes. Class 90s on Anglia and 91s on the East coast will disappear, even some modern DMUs like the 170s and 185s will be surplus (although I’m sure they’ll find homes somewhere). It’s clear that the old Pacers will be going for scrap, although some will be preserved. I do wonder about the future of the single-car 153s. Could they be added to Northern’s 155 fleet to make permanent 3 cars in the way GWRs 158/9s have been? Due to modern engine emissions standards and the fact they have ‘grandfather rights’ I can’t see the 150s and 156s remaining homeless for long either. Curiously, whilst the list mentions the 313 & 315 fleet, it neglects to mention their Merseyside cousins, the 507/508 fleet. From 2019 they’ll be replaced by new trains from Stadler of Switzerland. The idea that some trains could be converted for freight use has been mooted. HSTs are one example, and there are suggestions that Pacers *could* be (however unlikely). Here’s a couple of examples of when this happened in BR days. A Class 114 ‘Derby Heavyweight’ DMU converted for express parcels traffic and based at Cambridge stands in one of the bay platforms in York on the 21st January 1990. A former Class 302 unit converted to carry Royal Mail by stripping out the interior and adding roller doors which was used on services out of Liverpool St seen at Stratford (E London) on the 4th May 1990. 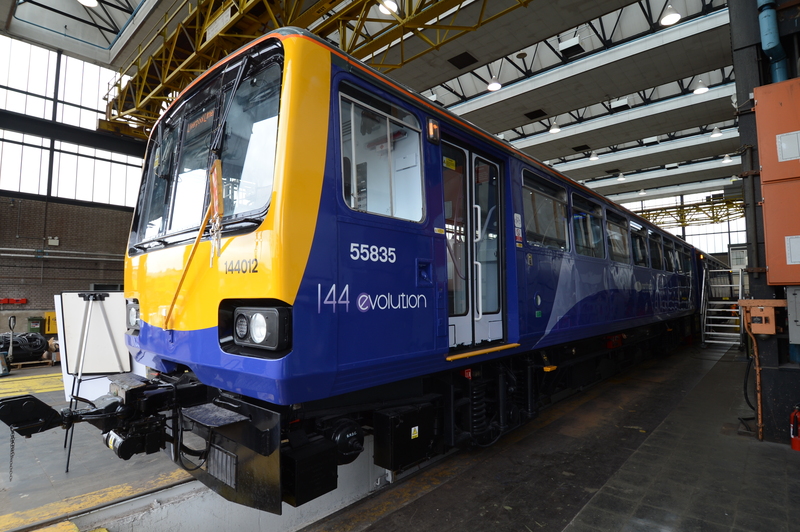 Other fleets which are unlikely to find new homes are the old BR 3rd rail stock such as the SWR 455s – despite them having been re-tractioned recently (link). They date from the early 1980s, so they’re 35 years old, and I can’t realistically see them being converted to bi-mode or 25kv overhead – especially as more modern fleets will also be off-lease. Another fleet with an uncertain future (despite having been expensively rebuilt between 2013-16) is the Class 458/5s. Of course, this glut of surplus trains may yet grow depending what happens when the next SET franchise is let. Will we see the Class 465’s and 466s being added to the list? To round up, here’s a few examples of the fleets which are coming off lease. Missed off the RDG off-lease list are the 177 vehicles that make up Mersyrail’s Class 507/508 fleets. The 507s were built for Merseyside in 1978-80 whilst their sisters, the 508s were originally built for SW London services in 1979-80 as 4-car units. They transferred to Merseyside in 1983, leaving one car behind which was incorporated into a late build of the Class 455s which replaced them. 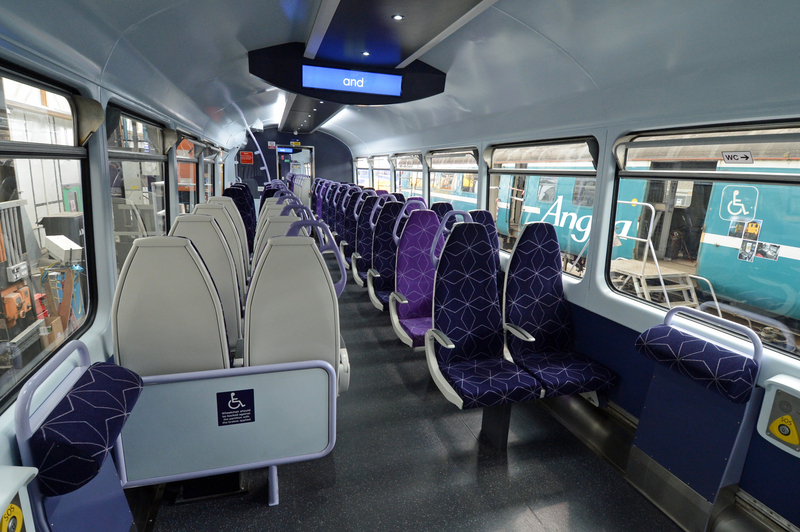 The 43 strong Class 323 fleet is split between Northern Rail and the former London Midland franchise, both will be relinquished. Abellio Greater Anglia are replacing their entire train fleet with brand new vehicles, which means even this 30 strong fleet of 2010 built Class 379s will go off-lease. 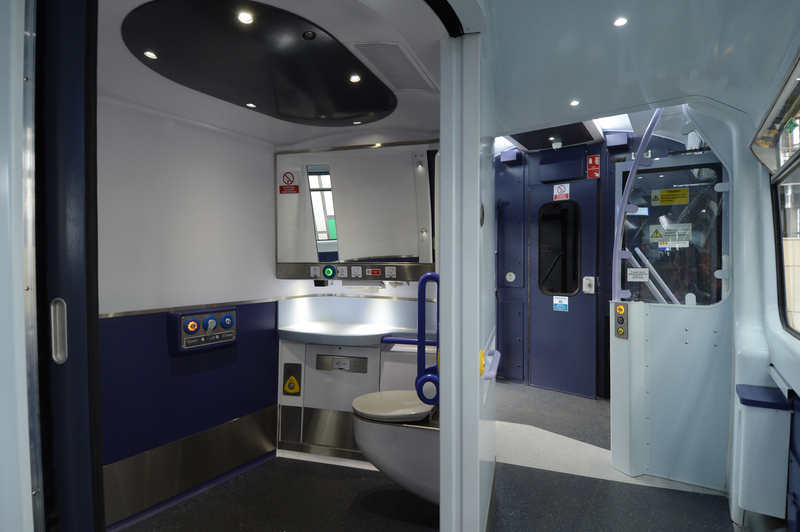 AGA will also be dispensing with the services of their 15 Class 90s and Mk3 coaching stock. Other trains going off-lease are these Class 321 EMU’s and the Class 170/2 DMU’s, both seen here at Norwich. 21 sets of these Siemens Desiros were built at Krefeld, Germany in 2002-3. AGA will make them all surplus to requirements. Two variants of the Class 455s that BR built in 1981-85 for SW London suburban services. A total of 364 of these vehicles will be made redundant by 2020. BREL built 24 of these 2-car Class 456s in 1990-91. All will be surplus in 2020. Rebuilt from the original Alstom Juniper Class 458 and their sisters, the Gatwick Express Class 460s between 2013-16, the 36 strong 458/5 fleet will be redundant. The last 2 of the 30 strong Class 707 fleet only entered service this month. SWR will be relinquishing them in 2020. The Class 313 fleet are currently the oldest trains operating on the national network (exc the IoW). Built in 1976-77, they’re being displaced from GTR services out of Moorgate and Kings Cross by new Siemens Class 717s later this year. The 41 strong Class 365 fleet were built by ABB York between 1994-95. They were last trains BR built before privatisation caused a hiatus in orders that led to the closure of York. They’re also my favourite of the BR fleet. 100mph capable, comfortable and with good visibility. Originally intended to go to GWR they’re now coming off-lease with no home to go to. The Class 91s and Mk4 coaches took over most East Coast workings in the early 1990s. They’ll be rendered redundant by the arrival of the Hitachi ‘Azumas’ in 2019. There’s no firm plans to cascade them elsewhere. Suggestions that they could be used on the Midland Main Line foundered because of the cost of gauge-clearance. Just to show how quickly things change, whilst I was writing this came the announcement that Heathrow Express services will continue to operate until at least 2028 under a management contract between Heathrow Airport and FirstGroup subsidiary Great Western Railway. This means HEx will bid goodbyes to their 14 strong fleet of Class 332s as GWR will be using 12 specially modified Class 387s to run the service. That add another 61 100mph vehicles only 20-21 years old looking for a home….